Cricut and cuttlebug scrapbooking, card making, and general paper crafting. 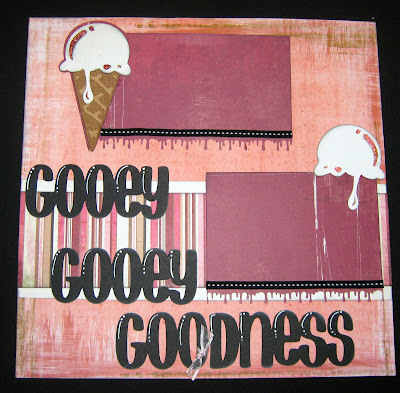 Another ice cream layout! This one is more "rocked out". I used Don Juan for the title. 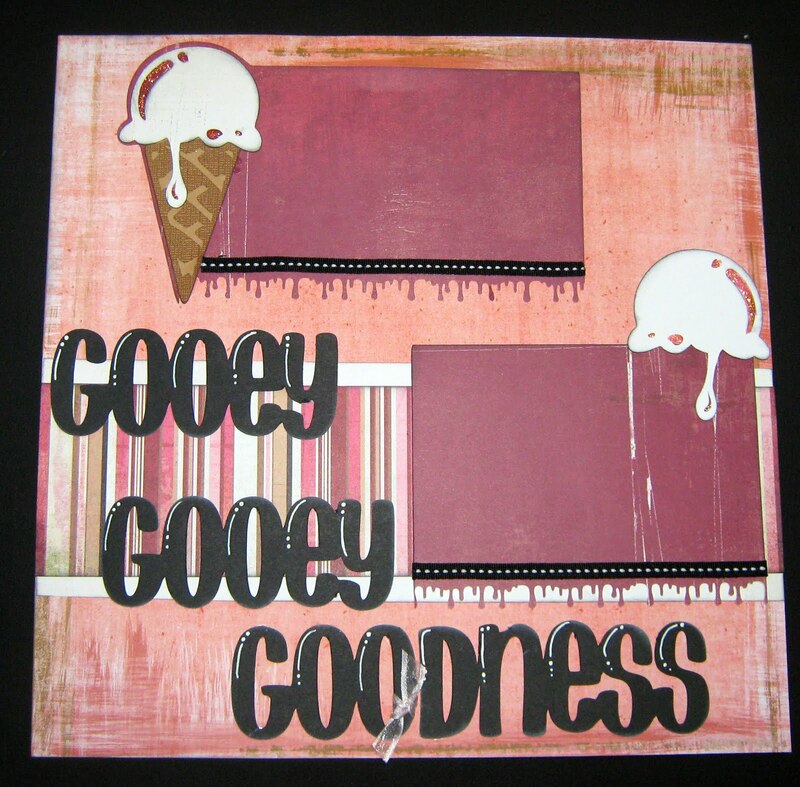 Indie Art for the ice cream and my favorite Martha Stewart "drippy goo" border punch. The paper is Basic Grey and Bo Bunny. A little bit of fruit punch Stickles. I'm really liking that Don Juan font. I love the scoop on top of the border too. Fabulous layout, Jenny!! Love all the drippiness of it! :) And gosh is it ever perfect for this hot weather! Love all your details! I am a little strange because I LOVE that BUGS live in my house! I am head over heals in love with my cricut and my cuttlebug. We spend many happy hours together "bonding". Because of my bugs I have met many new and equally as strange (but in a good way) FRIENDS who love to have bugs in their house too! This is my way of sharing some of the love that we create with all of you! I also share my house with my husband and 4 kids. Although they do appear here in this blog every once inawhile they have their own blog home where you can find adorable pictures that are just waiting to find a home in my scrapbook. Thanks for stopping by and if you love BUGS too leave a comment and let me know how you feel!